Project Brief: Churchill Wealth Management provides independent financial advice from their Bristol office to clients all over the UK. 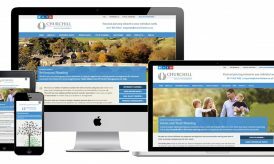 Clifton Web Design was commissioned to revamp their website in order to portray their investment philosophy and promote their key services to prospective clients and support their growing business. 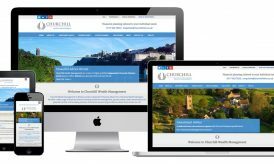 Project Outcome: The new responsive website has been developed so that it creates a logical flow, and reflects Churchill’s professionalism and experience. A central part of our idea for the visual design was the use of full-width background images displaying scenes of the local Bristol and South West England area, with easily identifiable calls to action and an emphasis on the key services provided. The end result is a clean, fresh corporate site that focuses on clear communication of the company’s ethos.